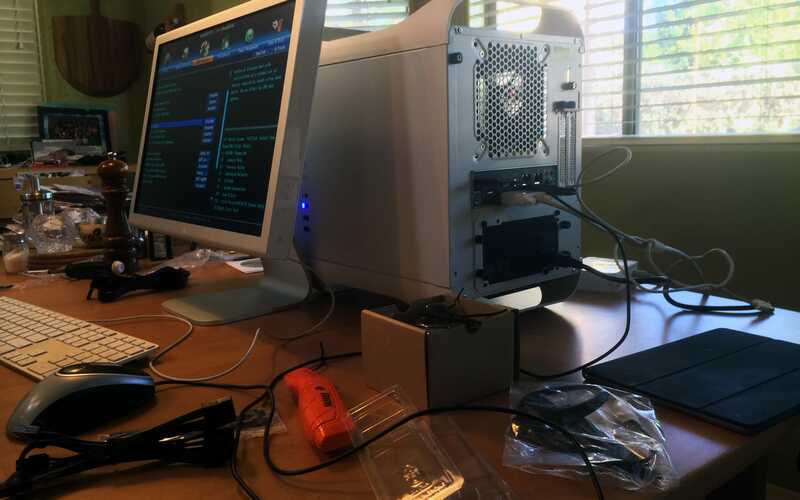 Nic delves into the shady computer enthusiast underworld of the Hackintosh. Update Feb. 16, 2014: Added a CPU cooler to the pick list. And then Apple never did. For good reason. Here’s something a surprising amount of people don’t want to understand about Apple: Since the first Mac those more than 30 years ago, Apple has wanted to sell you an appliance—a sealed unit you, the customer, do not open up. Ever. You buy it, you use it, then when you want a speed boost, you get rid of it and buy a new one. Done. Apple does not build machines for hardware tinkerers. For a long time, though, Apple couldn’t get away with it: When your core customers are creative professionals and they need all the power they can get, you have to let them install faster video cards, more hard drives, fibre channel cards, those kinds of things. So Apple grudgingly filled that need with the Mac Pro. Now though, the Mac Pro is an appliance as well after external ports became fast enough that creative professionals can get what they need without needing to get inside the box, so Apple could (finally) glue the box shut like they wanted to all along. At the same time, there’s a small but vocal minority of enthusiasts who love the Mac OS but also want to tinker with the hardware and be able to go as OCD as they want on the pieces that make up their computer. Those people build Hackintoshes. Hackintoshes exist because of Apple using—at least to a certain extent—standard PC parts in their computers. Most of those parts end up tweaked by Apple to fit in their enclosures and whatnot, but they’re based on the standards provided by Intel. Which means you can judiciously purchase parts and assemble your own machine which will run Mac OS X. Sort of. More on that later. Based on Apple’s appliance mindset you’d think the company would do everything in its power to crush the Hackintosh, but at least outwardly it’s been looking the other way and pretending it’s raining. Could be Apple made a business decision that Hackintoshes are costing them few enough sales it’s not worth putting engineering resources into creating artificial hurdles or that Hackintoshes provide a safety valve for the biggest nerds to go off and mind their own business instead of yelling at Apple. I doubt we’ll ever know the real reasoning. But for the time being the Hackintosh community is happily off in a corner doing its thing. Building your own machine from PC parts will save you some money up-front and will allow you to indulge your OCD whims to your heart’s content. But there are non-monetary costs. The first and biggest is time: The Hackintosh community is good at many things, but writing clear guides is not one of them. As you’d expect from a male-dominated field full of young nerds, there’s a morass of acronyms and Strongly Held Opinions. Unless your time is free or you have a good sherpa (like I did with Mr. Joe Mullins) to get you started, you’re actually not saving money. Though if you’re of that bent, you do have a fun hobby. Being grizzled and tired, why on Earth would I do this? Partly, of course, just to see what it’s like, and partly to find out what’s new in the world of building PCs since the last time I built one back in … crivens, it’s been a long time … 1998. It turns out technology has made progress in this space as well, though not as much as I had thought. It’s still the same process of picking parts and making with the screwdrivering, but the details are nicer. A UEFI BIOS will let you use a mouse! And it doesn’t take forever to switch screens! But amazingly, the instructions are still mostly worthless. The BIOS on my motherboard has nice explanatory text for the various options. For instance, there’s a setting for disabling and enabling EHCI Handoff. Hmm. What’s that? The help text explains: Allows you to enable or disable EHCI Handoff. Thank you! That help text box is in no way a waste of space. It’s turtles all the way down with things like that. All that being said, what’s it like to run a Hackintosh as a Mac? It’s a fast machine with the internals I want and the expandability I choose. But it illustrates just how much complexity Apple shields from you and how for the vast, vast majority of people Apple has picked exactly the right concept in its appliance model. With a machine from Apple, you turn it on and go and as long as the hardware doesn’t break, the most complicated thing you’ll have to do is go to the App Store and buy your software. No checking your thermal loads and all the other things the tinkerer has to worry about. For me the most arduous part of the process—and one I’d have to endure if I had moved to a “real” Mac as well—was to migrate the content over from my old iMac—the Hackintosh has a 250GB SSD, not nearly enough for all the files my wife and I had, so there was pruning, letting Time Machine run, then letting Migration Assistant move over the Applications and User folders overnight. After that things pretty much worked as expected apart from some of the Unix-y things like Homebrew, which got itself into a pretty bad tissy. The only other problem so far was delivered, of course, by iTunes, which forgot the location of about 1,000 songs. Songs sitting on an external harddrive which had not been moved at all. ##The pick list Here’s the parts list for this particular Hackintosh, based on the February 2014 CustoMac Mini Deluxe list on TonyMac. All links go to Amazon and are affiliate links. CPU Cooler: Hyper 212 EVO. The i5 runs wicked hot. If you want to do any kind of overclocking, you’re going to need an industrial-strength cooler. You’ll want some electrical tape to keep from releasing the magic smoke, since the cooler will touch some of the stitching at the bottom of the motherboard. This thing is a massive pain in the nads to install—only do it if you want to overclock. Case: BitFenix Prodigy. Pro tip: Remove the silly handle from the bottom. It makes the case wiggly and is very silly. The BitFenix case has two case fans, but the Gigabyte board only has one fan power supply, so you probably want to pick up a fan splitter as well.